DO YOU AGREE, or disagree, with the following statement? An effective justice system is one that actively supports the ability of families, communities and businesses to evolve and thrive. And as residents of B.C. we want practical laws to govern our affairs — and fast. Stability for Families … Security for Communities … Certainty for Business … and … Accountability to the Public. Delays in child custody decisions can amount to half or more of a child’s life. Those seeking to clear their names must wait for lengthy periods of time for their day in court. Businesses seeking to collect a debt or resolve a shareholders’ dispute may wait 18 months or more to resolve their dispute through the court system. Back in 2013, when this report was written, spending on the justice system, had decreased to just one per cent of its expenditures on the administration of justice. In fact, the 10-year period of 2002 to 2013, saw funding cuts of more than $113 million … creating what was then described as a crisis. Fast forward to February 2017, and once again the B.C. Branch of the Canadian Bar Association released an up-dated document — An Agenda for Justice. The document reviewed a series of specific issues that were creating hardship, or uncertainty, for those involved with our justice system — issues which could be grouped under the following four broad categories. Effective Access to Justice … Support for B.C.’s Families … Public Safety and Community Fairness … and Stability for Business. “We tend to think about justice as being the police, the courts and prisons. It is much more than that – it is about people and their everyday problems. It is about a family in crisis, caught in the court system, without access to legal representation. Now stay with me … it’s taking awhile … however, action by the government is slowly about to get underway … but not before the B.C. Branch of the Canadian Bar Association stepped up once again. Last September (2018) the CBABC published An Agenda for Justice – Platform Updates. The update to the 2017 publication did acknowledge work being done by the provincial Attorney General’s Office to improve access to justice in B.C., including recently increased investment in key areas such as Legal Aid for family law services. … Indigenous justice … the B.C. Mental Health Act … Court Services staffing … and the establishment of a Unified Family Court. Further, An Agenda for Justice – Platform Updates 2018 identified emerging issues including legislative changes meant to improve finances at the Insurance Corporation of British Columbia. Legal Aid has been a bone of contention for many, this over numerous years and changes in government. The CBABC continues to advocate for increased funding of Legal Aid for family law matters in order to provide assistance to all qualifying individuals. Another area of concern is a Unified Family Court (UFC) … which would be one level of court dealing with all family law matters. According the B.C. Branch of the Canadian Bar Association, it appears Justin Trudeau’s federal government is committed to establishing and funding UFCs across the country. If that is indeed so, then it would be incumbent on the B.C. NDP government of John Horgan to negotiate to have this be implemented in B.C. as part of the February 2019 budget. Then there is Indigenous Justice, where there is hope that 300 Gladue reports being produced will be able to assist judges in sentencing Indigenous offenders. However, this is a small fraction of the reports required. The Canadian Bar Association is also urging governments to ensure funding for all Indigenous offenders facing sentencing, who would seek production of, and would benefit from, a Gladue report. AND NOW … here is where the government catches up! On Oct. 4 of last year (2018) David Eby, B.C.’s Attorney General, requested a review of legal aid service delivery models, including a report with recommendations, by the end of the year. The review is being conducted by practising lawyer Jamie Maclaren, using terms of reference laid out by the attorney general. Before it releases the report publicly, the B.C. government will review each recommendation to analyze and consider the potential social and financial impacts. Careful consideration of the report’s findings reflects government’s interest in developing policy and improving services that make life better for all British Columbians. Hmmmmmm … I hate to say this, but that sounds like a lot of government blah-blah-blah with the bottom line of humming and hawing on whether to provide people who are in dire straights (and most in need) of having accessible legal help, will be provided with the services they need. Just as a further FYI … those are the finances which same (many?) would say were stolen by the provincial government to fund other more high-profile areas of government … ones which get more glory for them in the media. Oh, and if you missed it, what David Eby is calling for is still just a review of what is happening in the Legal Aid system – not a thorough review of changes needed to the entire legal system. If, indeed, as the government has stated, the overall aim is to advance the rule of law and increase access to justice in the province, then it will certainly find on overwhelming amount of detailed information available to it – all the AG’s Ministry has to do is provide fresh copies of the 2013, 2017, and 2018 reports from the BC Branch of the Canadian Bar Association, to Attorney General Minister David Eby. 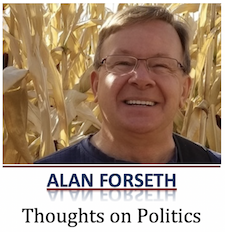 I’m Alan Forseth in Kamloops. If you have any thoughts on this, or anything else you read on the blog, I welcome you to share them in the Comments Section below. I was waiting and it got delivered…it is all Mr. Eby’s fault but by default Mr. Horga’s fault and by further default it is all the NDP’s fault. Of course the conservatives will be able to easily fix all the these issues when (eventually) they will be elected. Never mind that by all accounts Campbell, Clark et al are the most conservative there is. So it appears that more money for lawyers and more staff will solve the problem according to them. Well what a surprize. No mention of the facts that lawyers and judges are the main reason our court systems are so backed up because of postponements, delays and continuances granted. Minimum sentences are constantly challenged because the judges refuse to follow laws past and want to Hug-A-Thug rather than put them away. Public safety and victims rights to justice have been thrown out by the Jordan Decision. The system itself is a bureaucratic mess and no one seems to want to fix that only make it worse. Maybe Eby would do better looking at the mess with a broom because most BCers have no confidence in the Justice system now and aspire to appoint judges that are willing to do their job instead of those self serving and in many cases incompetent ones out there now, part of the problem. Why after a guilty verdict does it take judges weeks if not months to have another court date for sentencing? Then they give them a slap and they will be back. Cry me a river but I could care less for the judges and lawyers who appear to care less about victims, public safety, actual accountability and punishment fitting the crime. 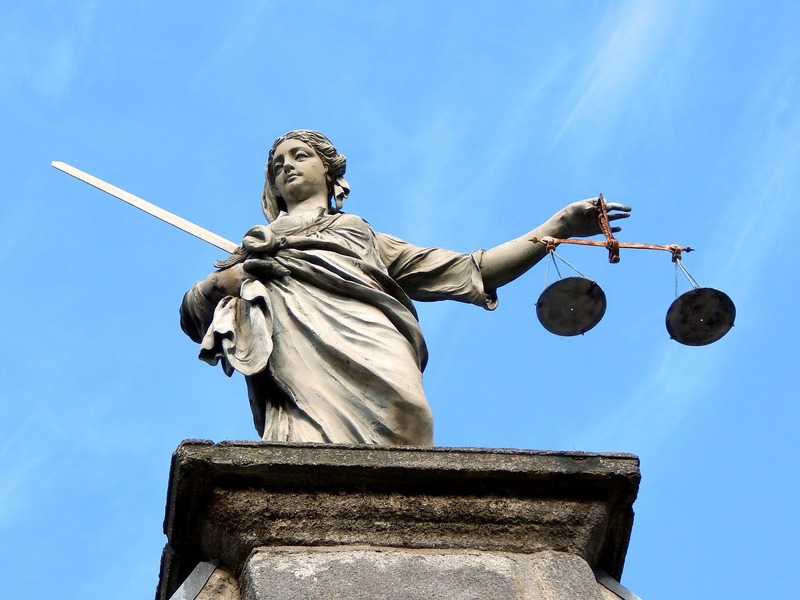 Our legal system currently serves lawyers and judges much more than it serves the people. It’s a cash cow for the lawyers, etc., and a money pit for the citizens.